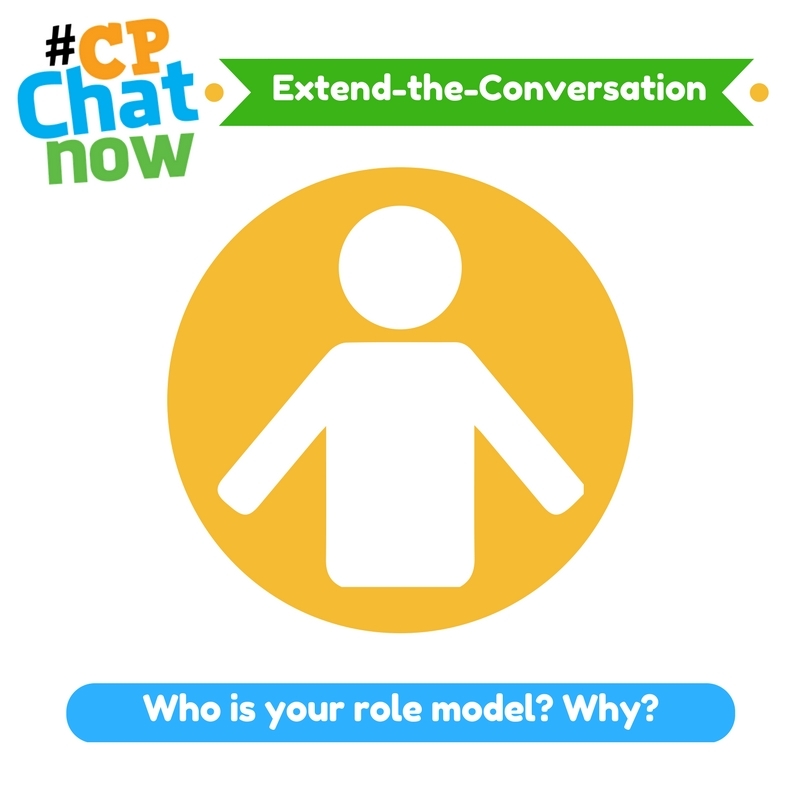 This week’s #CPChatNow chat was lively as usual and highlighted the different things people in our community experience in our daily lives. 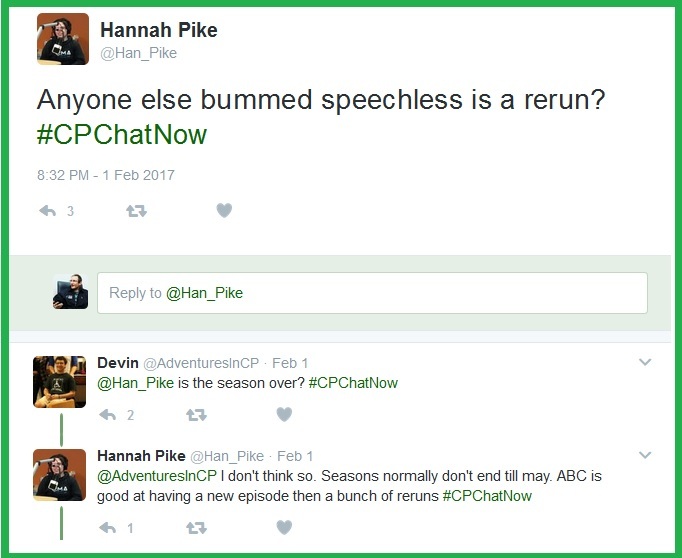 This is #CPChatNow Interim Co-Host, Devin Axtman, and I will be taking you along on this week’s recap. 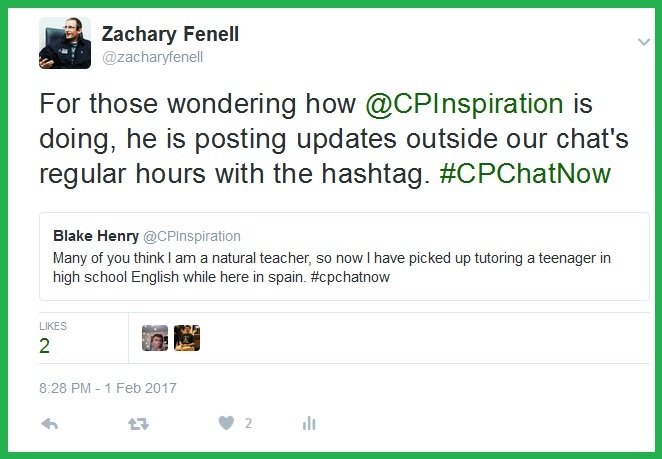 We welcomed a new member to the #CPChatNow Twitter chat family as Rachel who is teaching English in Spain joined us. 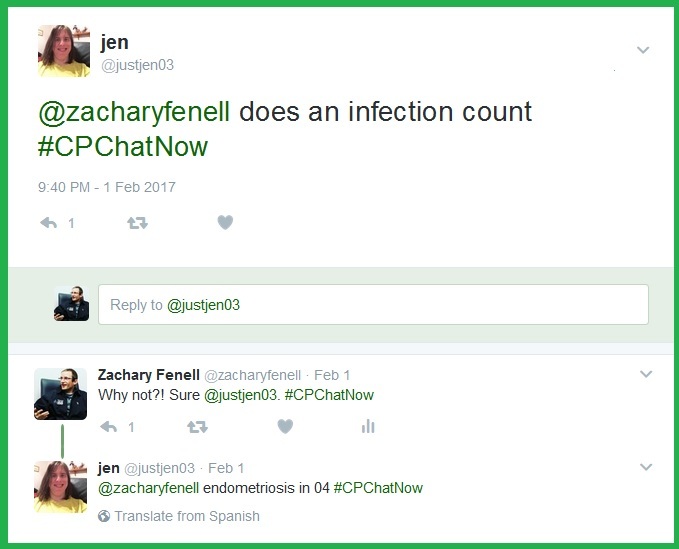 She heard about us after reading Co-Host Zach Fenell and #CPChatNow co-founder John Quinn’s books and connecting via our Facebook page and monthly Google Hangout. Talk soon turned to a common hobby in the disability community, naming assistive devices! Hannah shared her awesome names for her scooters. 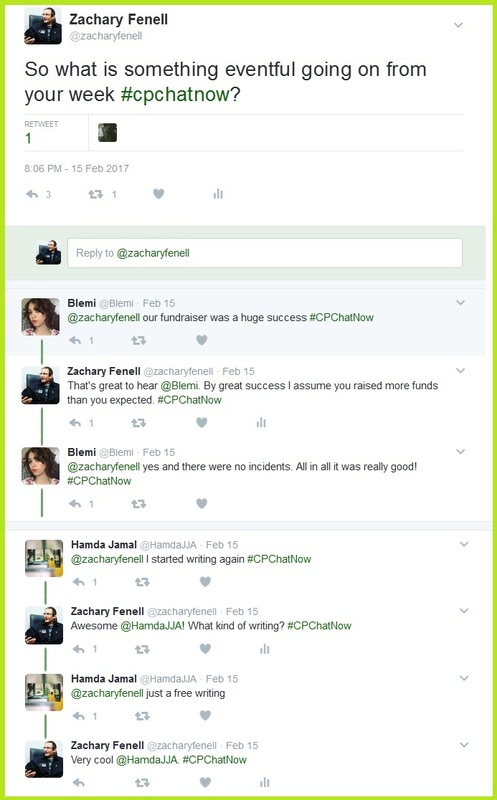 Shira and Zach both talked about her goal of publishing her poems and spreading knowledge and awareness about CP. 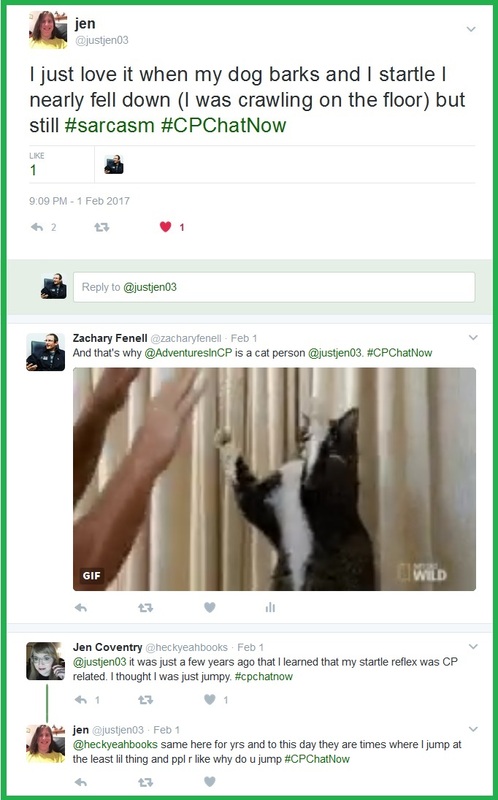 Zach offered his experienced advice. 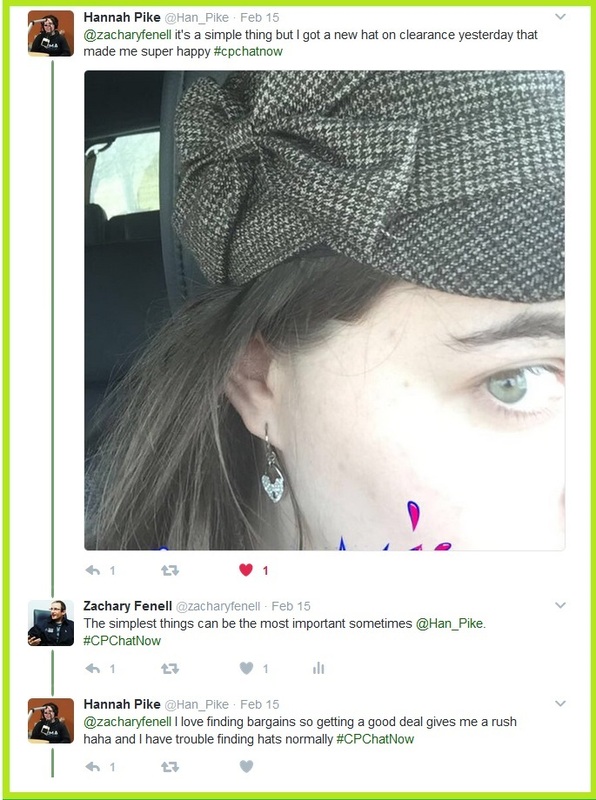 I also had to needle #CPChatNow co-host Blake from his study abroad stint in Spain about not joining us while Rachel stayed up in Spain. Blake quickly put me in my place and proved he is staying busy as always. 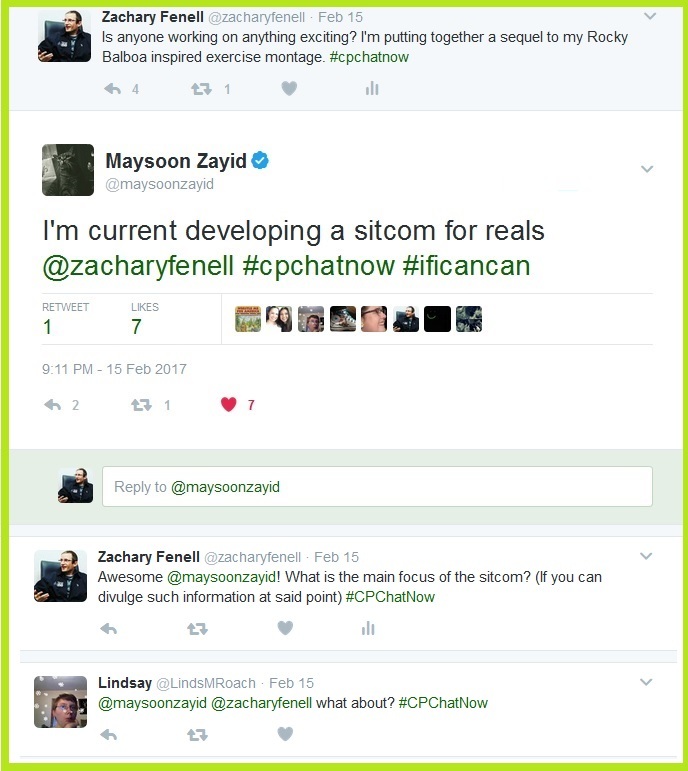 Finally, Rachel, Zach and I talked about things our parents said while we walked as youngsters and the common experience of feeling like a horse. 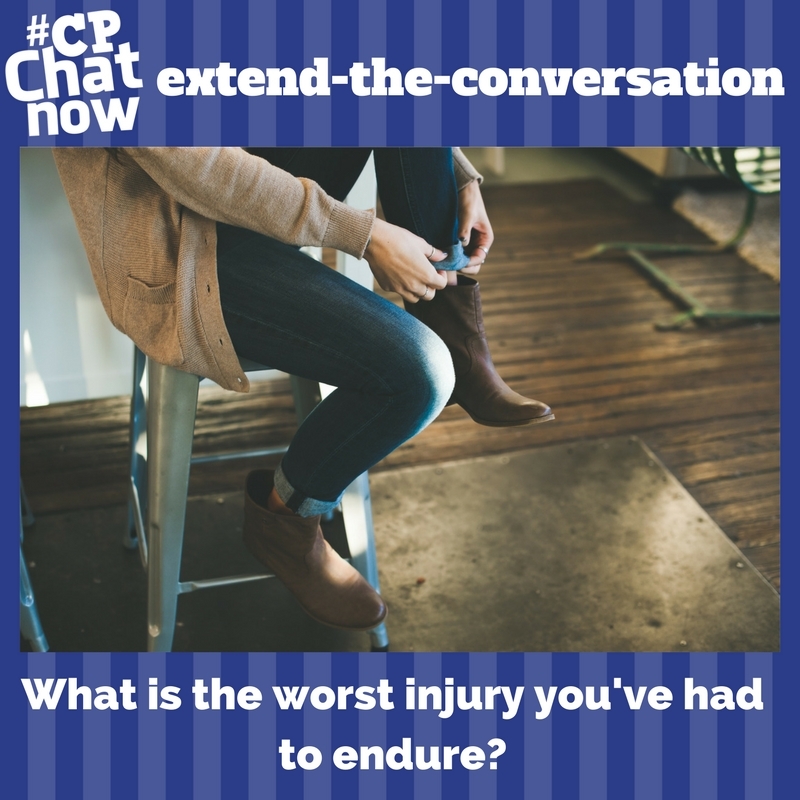 This leads us to our extend-the-conversation question: What common parental advice do you hear (or give if you’re a parent) related to cerebral palsy? Please share your responses in the comments! 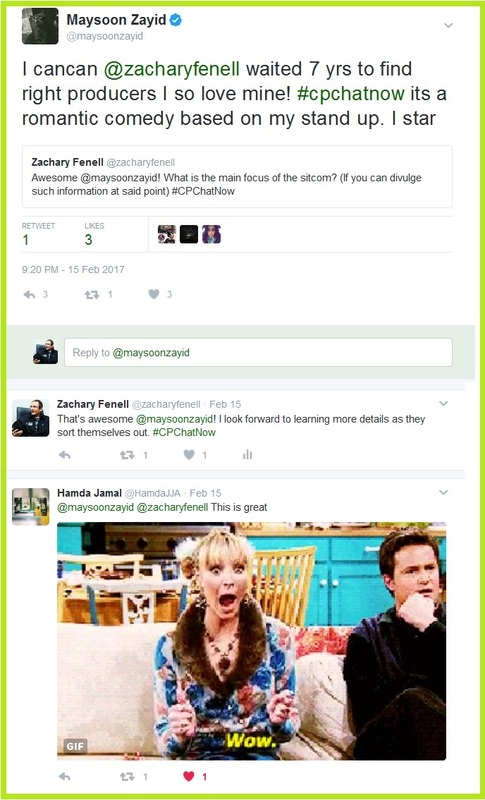 Finally, please join us for our focus chat with Alena Brand on the benefits computer science can bring to CP next Wednesday and continue to follow along on Facebook. 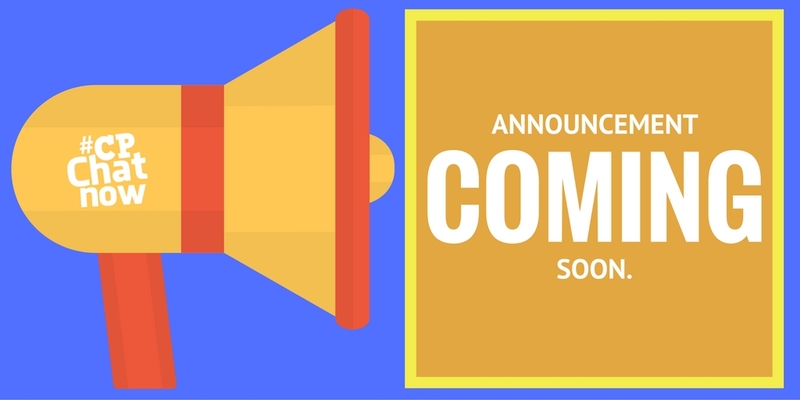 This week’s chat covered many topics: from upcoming announcements, to member’s ongoing activities, to a discussion of plans for Cerebral Palsy Awareness Month in March and effective awareness. 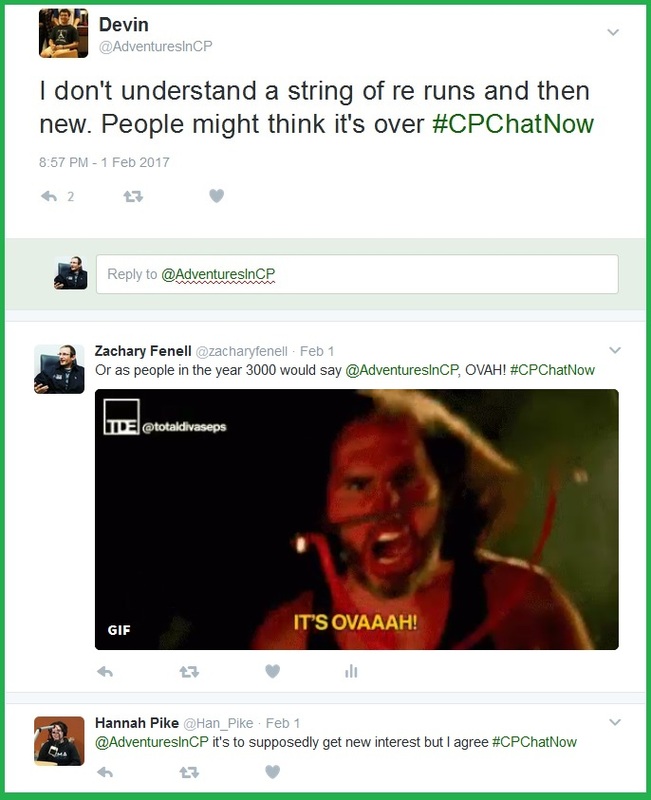 This just further illustrates the #CPChatNow community’s busy and active nature. I am your Interim Co-Host, Devin Axtman, and I will be taking you along on this week’s recap. If you like what you see and haven’t joined in a chat yet, you can join us every Wednesday at 8 PM Eastern. 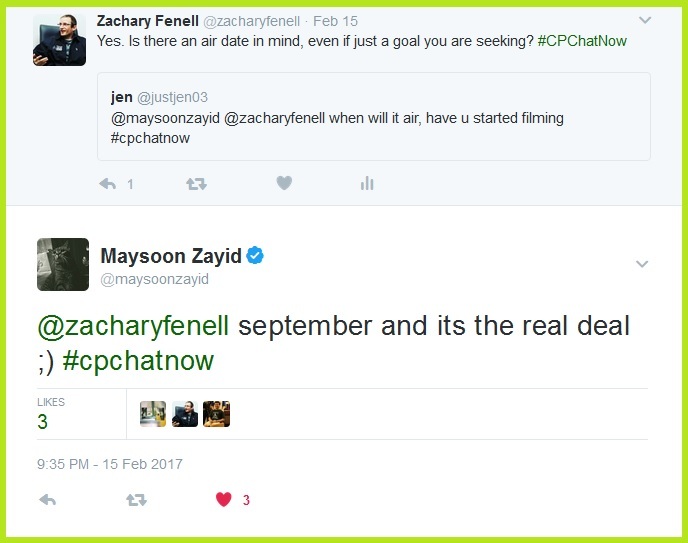 We also do a monthly Google Hangout. 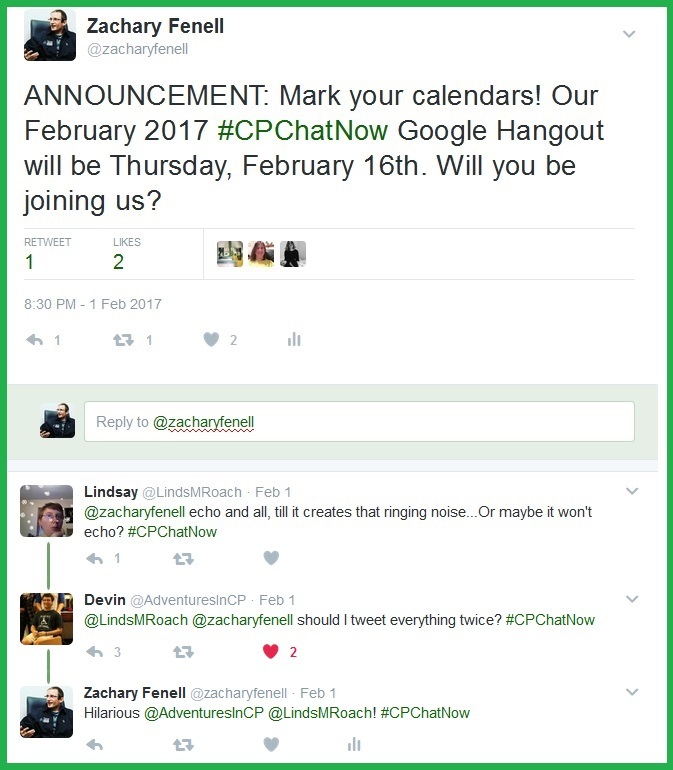 Next week is a busy week for #CPChatNow! 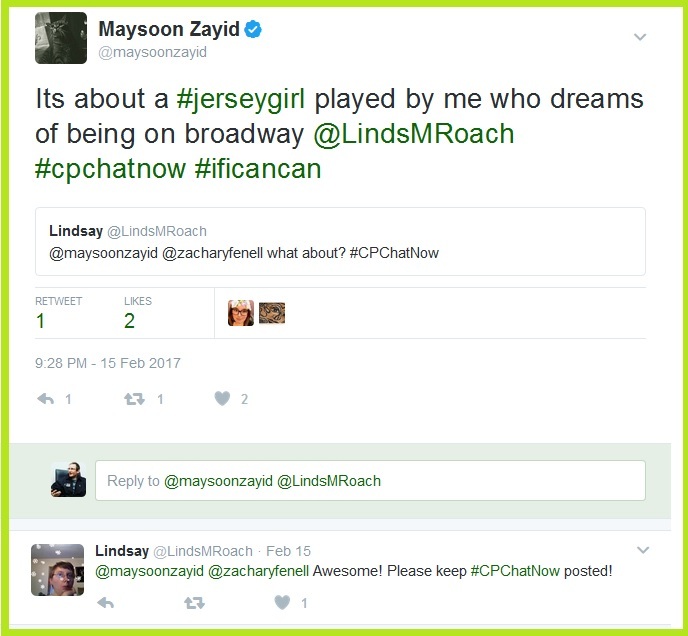 First, the awesome Maysoon Zayid will be leading a focus chat next Wednesday, the 15th. 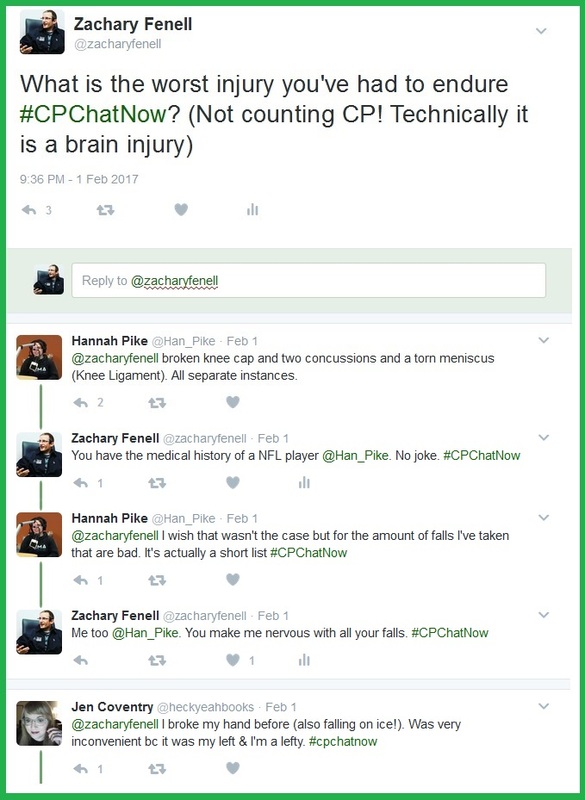 Also, be sure to check out her amazing TED Talk on life with CP. Talk soon shifted to difficulties and everyday stresses members were experiencing in their lives. Blemi is busy working on a benefit concert. 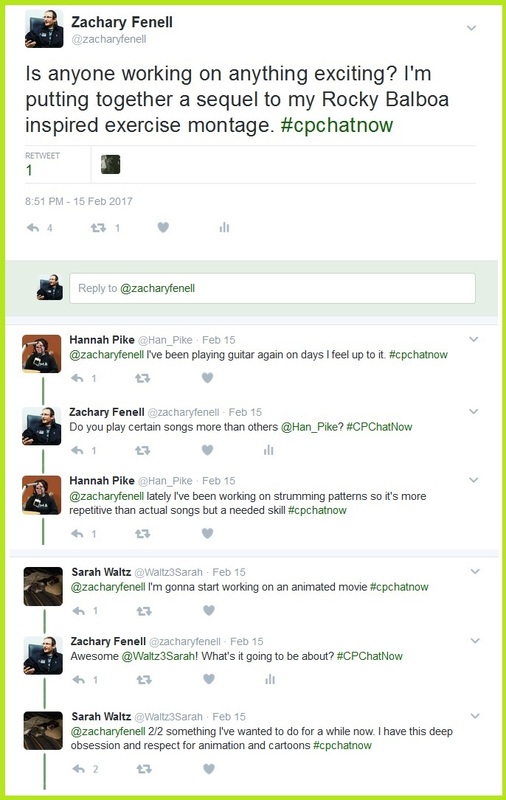 This led to a discussion between Zach and I about what creates effective awareness. 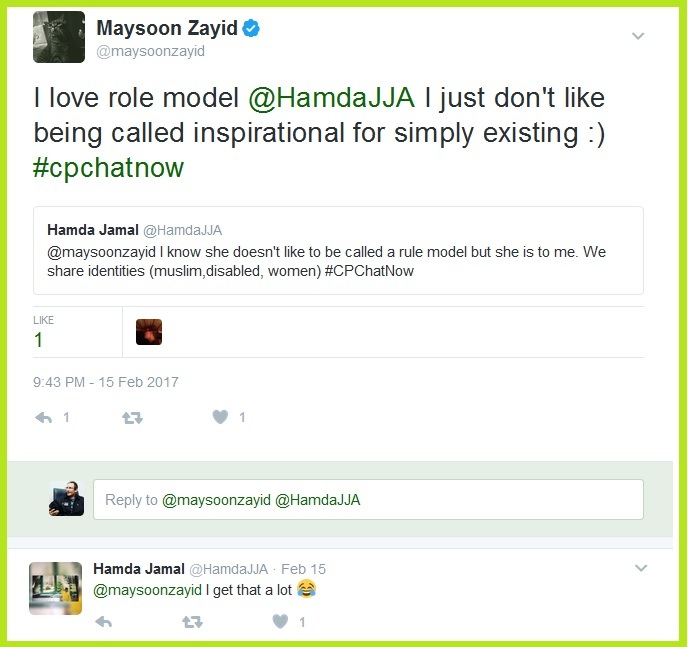 Finally, #CPChatNow member, Hamda Jamal, discussed her goal of having her own CP foundation in her home country one day to fill the void left by the lack of awareness organizations. 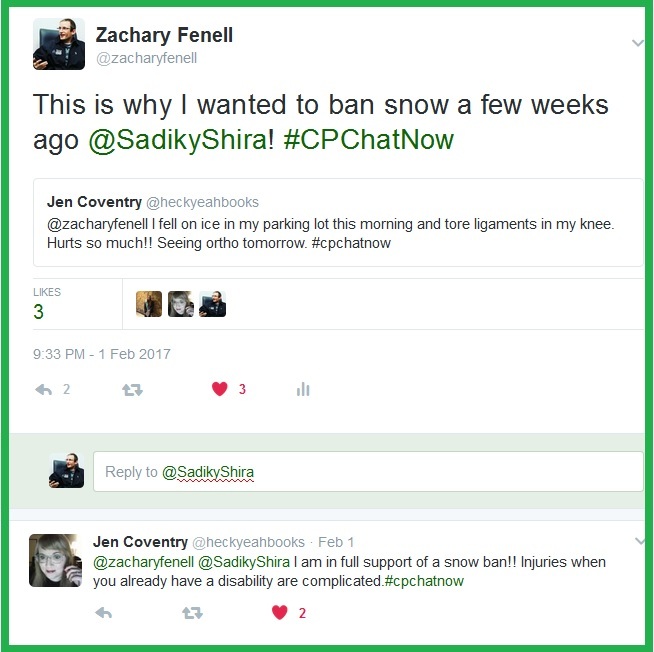 Now for this week’s extend-the-conversation question: What do you feel is necessary for effective disability awareness? 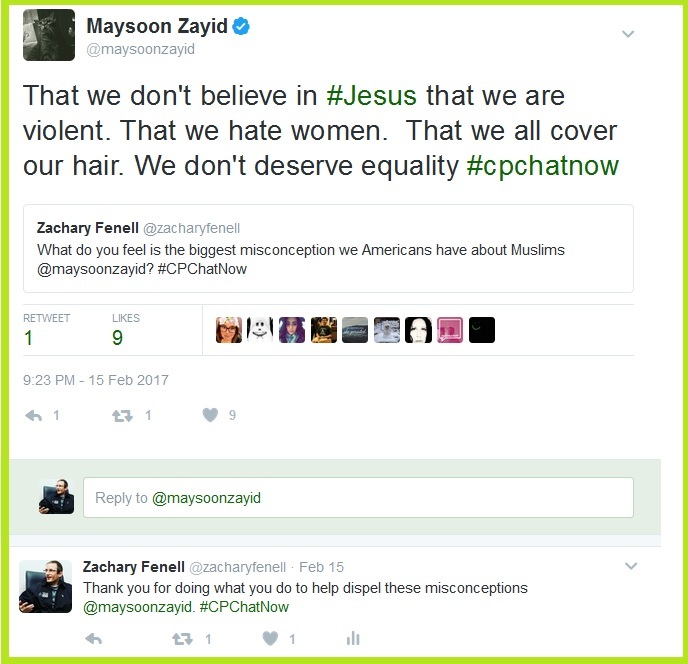 Please post some things you feel are necessary in the comments. 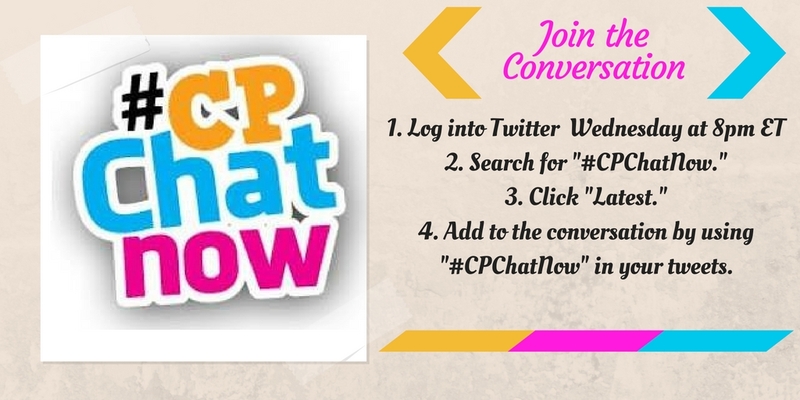 Thanks for reading and your interest in #CPChatNow.